Every now and then there comes a time when we all need to take a respite and carefully go through what has been achieved so far in our work. Thus, at International House Bucharest (IHB) and our junior & teen unit, English Kids Academy (EKA), 2018 has been an intense, wonderfully challenging and extremely rewarding academic year. Secondly, we signed up for the first edition of the “Preparation Centre Awards”, organised by Cambridge Assessment English (the University of Cambridge unit in charge of the Cambridge suite of English-language examinations) to reward the best Cambridge exam preparation centres around Europe. There were five participating countries (France, Poland, Holland, the Czech Republic and Romania), and more than 140 competing centres from Romania alone. The contest was divided into three prize categories: best preparation methodology; best new centre; and best step-by-step approach. Despite the fierce competition, EKA won The Best Preparation Centre Award in the step-by-step category, and was particularly commended for the thorough, well-thought-out “Cambridge route” it offers its students at all levels of learning. 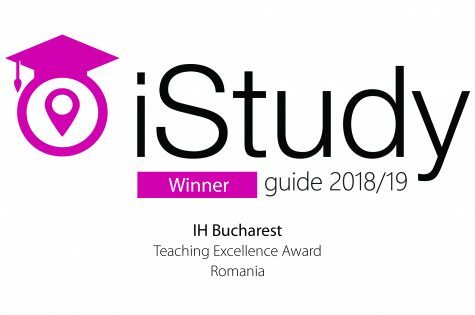 Thirdly, IHB took part in the 2017/2018 edition of the much coveted iStudy Guide Awards. iStudy Guide is a UK-based initiative providing comprehensive world-ranging expertise in the areas of studying, teaching and volunteering in top destinations as diverse as China, Spain, France, Italy, the UK and the US. The Awards are meant to acknowledge, by inclusion in the Guide and global marketing exposure with partners like Aspire & Swissport International, the contribution of language schools around the world to top-quality education. 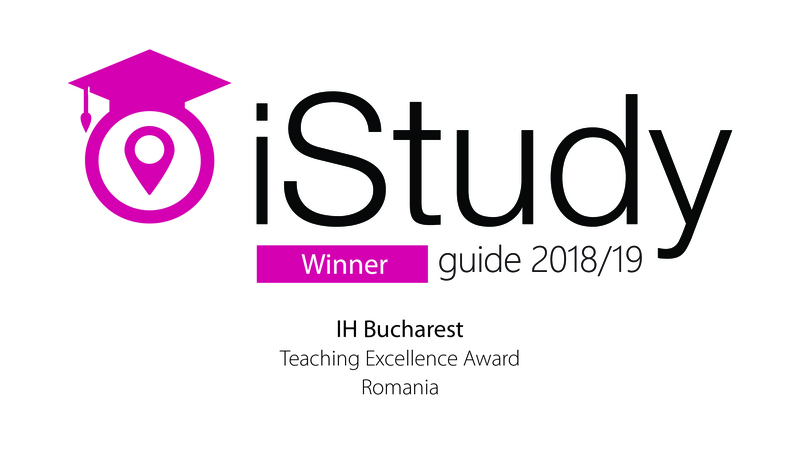 IHB won the Award for Teaching Excellence this edition, for its first-rate facilities and world-class education in the areas of teaching English to adults, Romanian to adults, English to children, as well as cultural integration training. How do we feel about these major achievements? Wholeheartedly grateful to all our staff, students and partners, and unflinchingly committed to keeping up elite standards of excellence today, tomorrow, and always.